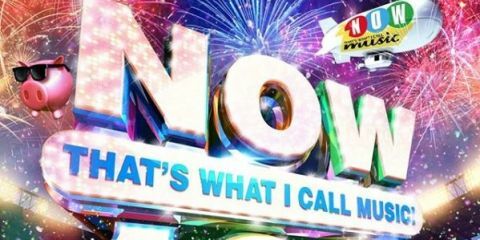 The 100th U.K. edition of ‘Now That’s What I Call Music’ had a huge week in the British countries, as the album became the fastest-selling of the year. Meanwhile, the soundtrack of ‘Mamma Mia! Here We Go Again’ was at the summit of the artist albums chart in the U.K., as it climbed three places from No. 4. Whereas, in the singles chart, ‘In My Feelings’ by Drake maintained its No. 1 position, with its second week on the top of the rankings. The latest edition to the ‘Now That’s What I Call Music’ features a lot of big names, with Dua Lipa, Ariana Grande, Calvin Harris, Spice Girls and 5 Seconds of Summer. According to the Official Charts Company, the tracks combined to give the set a total of 176,000 equivalent album units. The 99th edition in comparison, earned 115,000 and the 98th edition earned 154,000 equivalent album units. The previous fastest-selling album in the U.K. this year, was ‘Scorpion’ by Drake, which managed 64,000 album units, in its opening week. With the addition of the newest edition of ‘Now That’s What I Call Music’, all the compilations have now been No. 1 for a total of 655 weeks. The total overall sales of the compilation number at 120 million album units, having been in the running for 35 years to-date. The compilation chart also saw the 1983 edition of ‘Now That’s What I Call Music’ finish at No. 2, as its CD was reissued. ‘Mamma Mia! Here We Go Again’ finished the week at the top of the artist albums chart, as it sold a combined 35,000 album units during the week. The soundtrack to ‘The Greatest Showman’ meanwhile, moved up a place from No. 3 to finish at No. 2. This is the first time that the top two spots of the rankings have been occupied by movie soundtracks since 1978. The soundtrack of the original ‘Mamma Mia!’ was also making moves up the chart, as it rose eight places from No. 13 to end the week at No. 5. According to the Official Chart Company, this made it the first instance of three movies in top 5 of the chart since 1969. ‘Scorpion’ by Drake was on the decline, however, as it fell two places from the top to No. 3. The top 5 is completed by ‘Staying At Tamara’s’ by George Ezra, as the album climbed up a place to No. 4. Another gainer was ABBA, who had their album ‘Gold – Greatest Hits’ climbing up twelve places from No. 19 to finish the week at No. 7. This is the first time the set was in the top 10 since 2008. ‘?’ by XXXTentacion was on the rise as week, climbing up from No. 11 to No. 10. A total of 9.1 million streams during the week, saw ‘In My Feelings’ by Drake maintain its spot at the top of the singles chart. Following it is ‘Shotgun’ by George Ezra at No. 2 and ‘Rise’ by Jonas Blue featuring Jack & Jack at No. 3.